Finished off the Brindle Flake earlier today and felt like having a little sweetness added to my midday. A bowl of Boswell's Raspberry Creme in a big LGJ pot while sipping a Bundaberg ginger beer...mmm, good! Now the question I need help answering. I bought this pipe new online about 8-9 years ago. The letters stamped are LGJ (see picture) but I've not been able to find out anything about the maker. 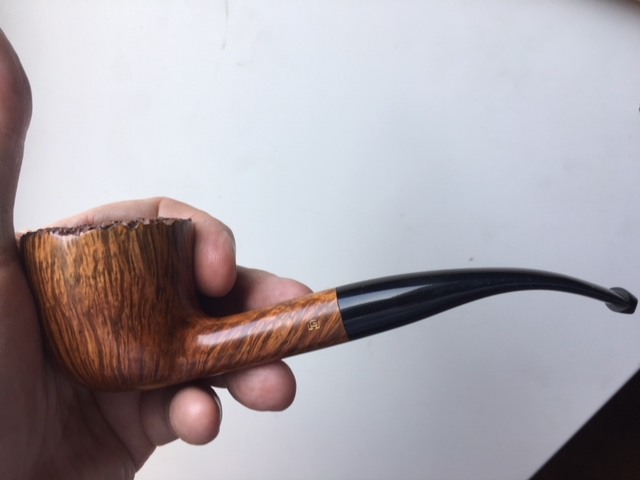 It's a handsome pipe that smokes great. Any of you know? @Rusticated , is the "LGJ" stamp the only stamping on it? It is a really nice pipe! Thanks man, it's probably the best smoking pipe I have. I've looked all over the internet, searched every country in Pipedia and can't find a thing. Maybe a little known maker in whereverville? Thanks Kevin, yep, the only mark on it. Flawless, not a fill mark on it and beautiful grain. I wish I could track the maker down, I'd be all over trying to find another! FOUND IT! I went digging thru all my old pipe junk and found the sock it came in. To my surprise i found the box end down in the sock bottom! L.J. 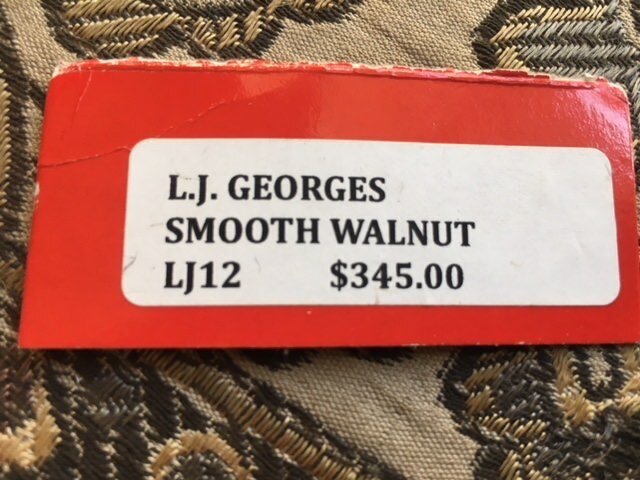 Georges; so the maker placed his first and middle initial on either side of the G which represents his last name. No wonder it was confusing! I think I paid about $80 for it at the time on an eBay bid...guess I got a good deal! L.J. Georges is the brand and name of French artisan Lucien Jassois Georges from Corsica. 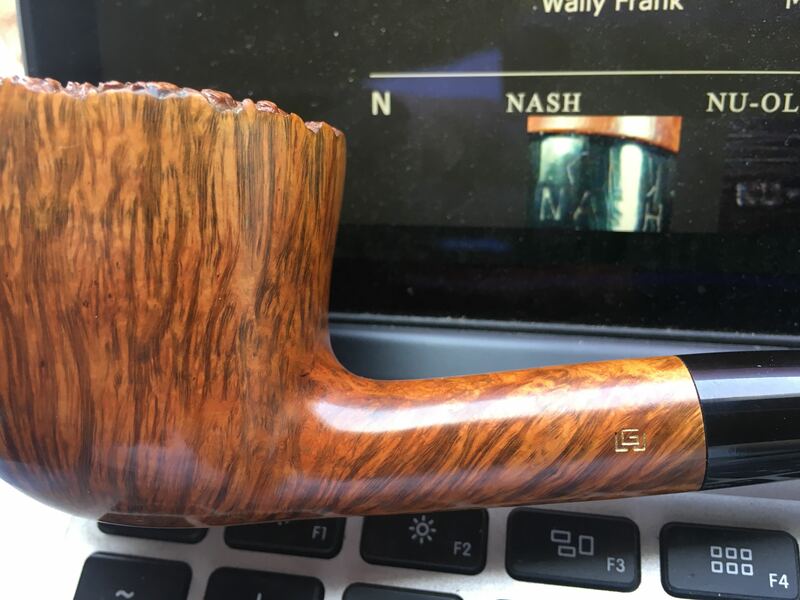 The origins of the brand go back to the 1920s, when his grandfather, Victor Georges founded the Riveriera Briar Pipe Company, which exported briar. The company was sold in 1975, but Lucian took the artisan's path as a profession, having first studied pipe making from the Dane Sven Knudsen. That is a beautiful pipe.